This dialogue focuses on the tensions between the real and the fictional in art, and reality in this ''post-truth'' period. It explores how reality can, and usually will, become fiction, and vice versa, focusing on the way in which fiction can be an interpretation of reality. 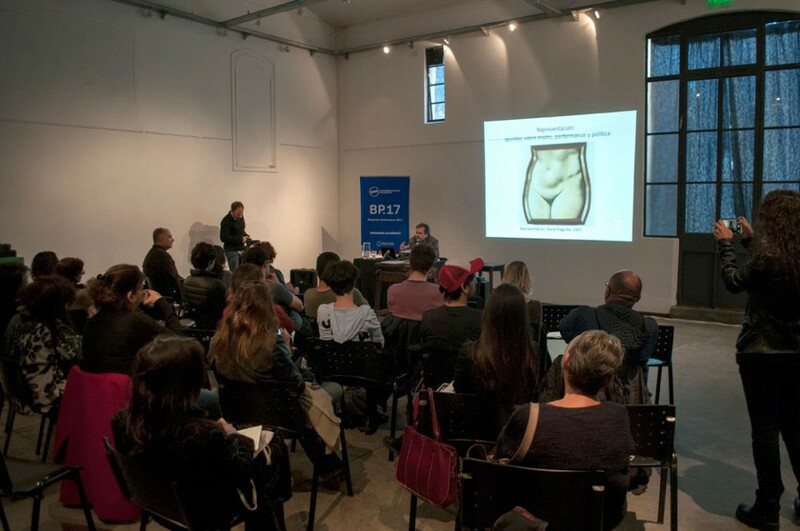 In the activities developed by artists Restrepo and Wehbi –visual and performance arts-, the limits between real and symbolic have been blurred and/or altered, feeding back into one another, transubstantiating to generate dilemmas between representation and presentation. Type of activity: Dialogue between José Alejandro Restrepo and Emilio García Wehbi. José Alejandro Restrepo was born in Bogota in 1959, where he currently works and resides. 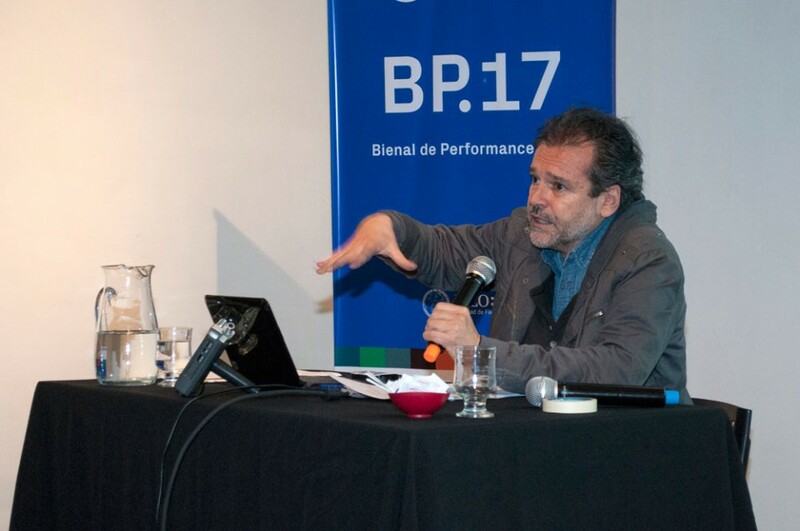 Since 1987, he has worked with performances and video-art, becoming a pioneer of this technique in Colombia. He mainly focuses on research and teaching at the Universidad Nacional de Colombia. 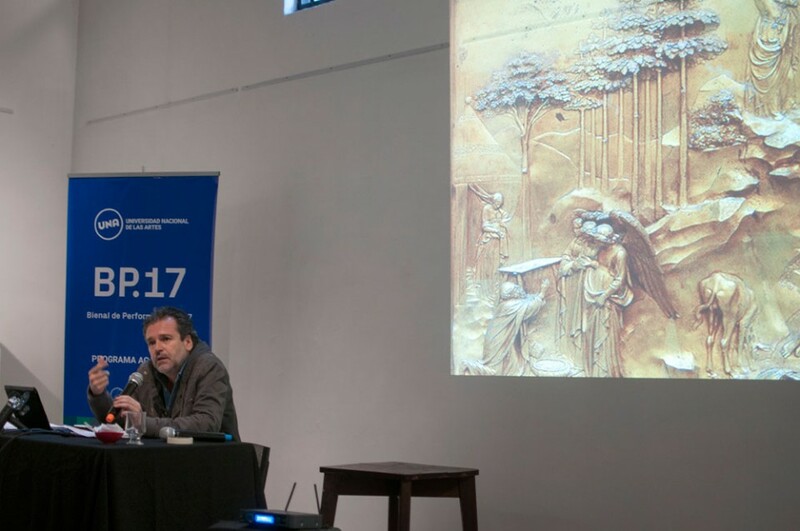 His solo exhibits include Teofanías (2008, Museo de Antioquia, Medellín); TransHistorias: mito y memoria en la obra de José Alejandro Restrepo (2001, Luis Ángel Arango Library, Bogotá), Musa paradisíaca (1997, Museo de Arte Moderno, Bogotá), Anaconda (1993, Aphone in Geneva, Switzerland) and Terebra (1988, Museo de la Universidad Nacional de Bogotá). 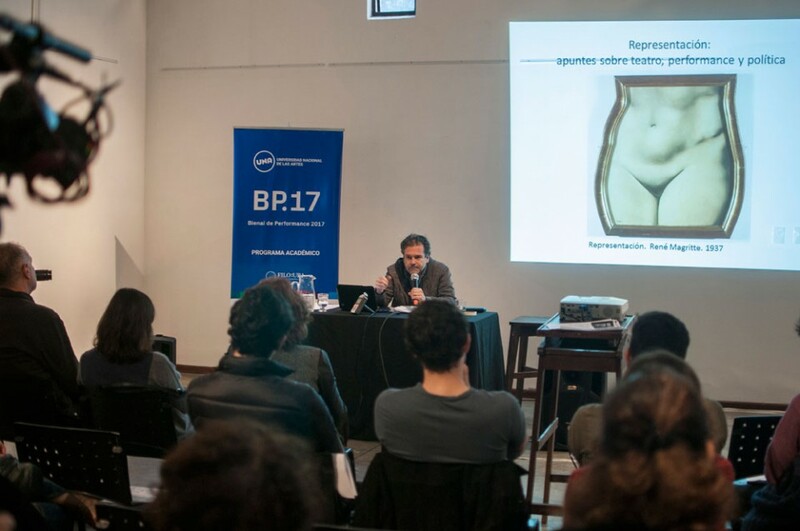 His work has also been part of collective exhibits such as Arte y violencia en Colombia (1999, Museo de Arte Moderno, Bogotá), The Sense of Place (1998, Centro de Arte Reina Sofía, Madrid), Tempo (2002, Museum of Modern Art –MoMA-, New York), Botánica política (2004, Fundación la Caixa, Barcelona) and Cantos/cuentos colombianos (2004, Contemporary Colombian Art at Daros-Latinamerica, Zurich). Some of his latest participations include 52nd Venice Biennale (2007), Bienal de Mercosul (Porto Alegre, 2011), Lyon Biennale (2011), Musée du Quai Branly (2013) y The Museum of Fine Arts (Houston, 2015). Coproduction: Universidad Nacional de las Artes (UNA) with the support of the Embajada de Colombia.